Iceland: Land of Fire and Ice. Earth Journeys, created by Tauck and BBC Earth! Sold out year after year! Come with us on our 8-day Iceland cruise aboard one of our newest ships, stylish, yacht-like Le Champlain. Get to know surprising Iceland as few people do. Departure Dates 2019: Multiple dates available. Call us! Iceland... a land of volcanoes and glaciers… epic sagas, heroic legends and a rich history… elves and spirits… puffins and whales… home to the world’s first legislative parliament convened in 930 AD, the northernmost golf course in the world, the most northerly capital city… and a human population of only a little over 300,000 people. Tauck’s Iceland cruise sails from sophisticated Reykjavik to off-the-beaten-track towns, tiny villages and islands populated by just a handful of people. Bird watchers will be delighted by all the opportunities to observe puffins, arctic terns and other species that thrive in Iceland, and history lovers will find much of interest in Iceland’s story. 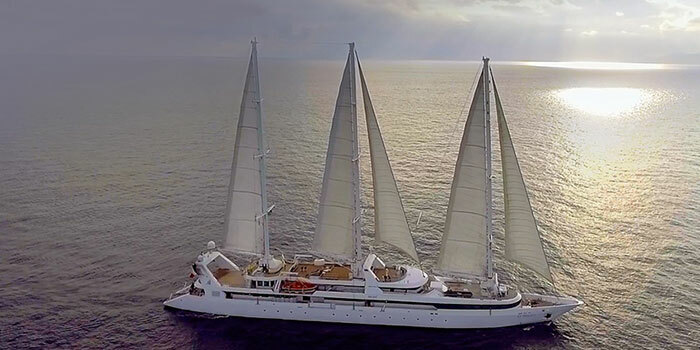 Your yacht is small enough for an intimate cruise experience yet large enough to provide amenities found on large cruise ships; all staterooms and suites have ocean views, and 95% have private balconies. Heimaey & the "Islands of the western men"